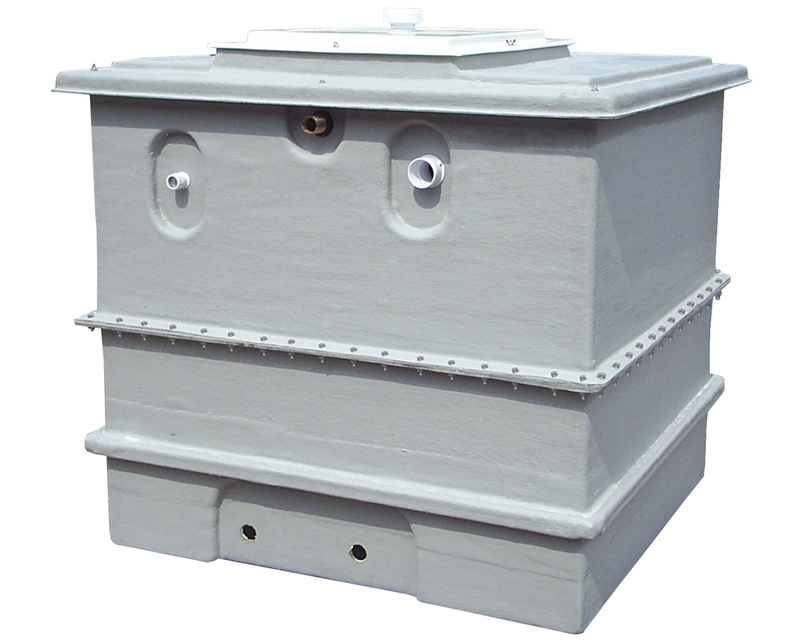 Water storage tanks are designed to suit various applications. They are great for the domestic and commercial industry alike. We supply a range of water tanks that are WRAS (Water Regulations Advisory Scheme) approved which means that they are safe to use and comply with industry standards. What are water storage tanks? Water storage tanks can be used for many different applications but are often used for storing a fluid. Whether it be for general water, chemicals, potable drinking water or rainwater harvesting, the water storage tanks are an ideal investment if you’re looking to store liquids efficiently. Water storage tanks can be made from plastic, steel and glass reinforced plastic (GRP)- the best one to choose is often dependent on your application. Although you have easy access to running water in the UK, it can often be at insufficient flow or pressure and water regulations require a break from the mains if the water is to be boosted. Our water storage tanks are sized to suit the incoming flow against the desired boosted flow rate. The cold water storage tanks are also known as loft header tanks. They are commonly used for vented central heating systems and are available in a wide range of sizes. Our cold water storage tanks are designed to provide systems with mains cold water which is then heated up and sent to an area where it is needed most. Cold water storage tanks that are manufactured from GRP can be used for new builds, replacing, maintaining and improving facilities. Could you benefit from our extensive range of products today? Some cold water storage tanks are made from GRP. 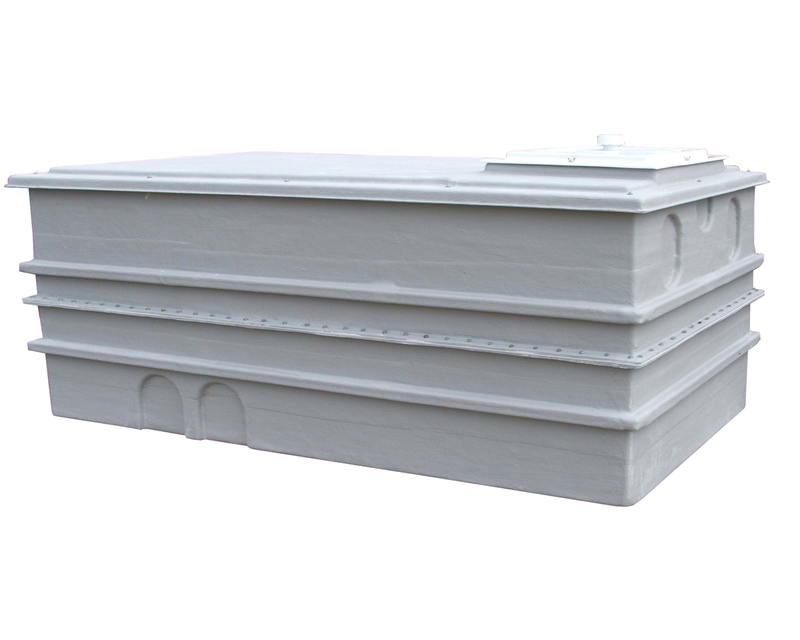 Any GRP water tank is guaranteed to suit space restrictions and has encapsulated insulation at the side and the lid- providing you with the peace of mind that water is safely stored. Why should you choose a GRP water tank? The cost of the GRP water tank is inexpensive. Here at Flowmech, our GRP cold water storage tanks are available for affordable prices to ensure that you find products that suit your budget requirements. At Flowmech, we supply cold water storage tanks that are strong and robust, making them a suitable solution for storing drinking water. 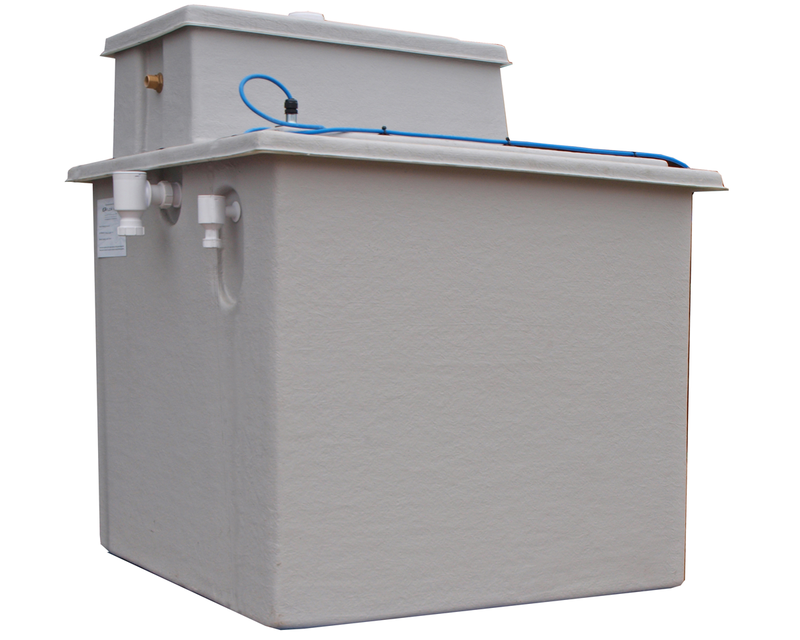 Water storage tanks are easy to maintain because they are lightweight and have an access man-way with a removable lid. As well as this, they have a close fitting and a sealed lid which can easily be removed when access is required for inspection. They are also designed to be easily cleaned, making it more convenient for you. The tanks are suitable for storing more than 1,000 Litres. They are supplied complete with a screened vent and screened overflow unit that ensures that they comply with The Water Supply Regulations 1999. If you need to know more about the GRP water tank supplied at Flowmech, our experienced sales team are always on hand to help. Call us today on 0116 242 5425.